1. Rought draft of how elevation data is first entered. Very contrasting colors are used to make it easier to keep the contour lines clear. 2. Defined contours with final colors. 3. 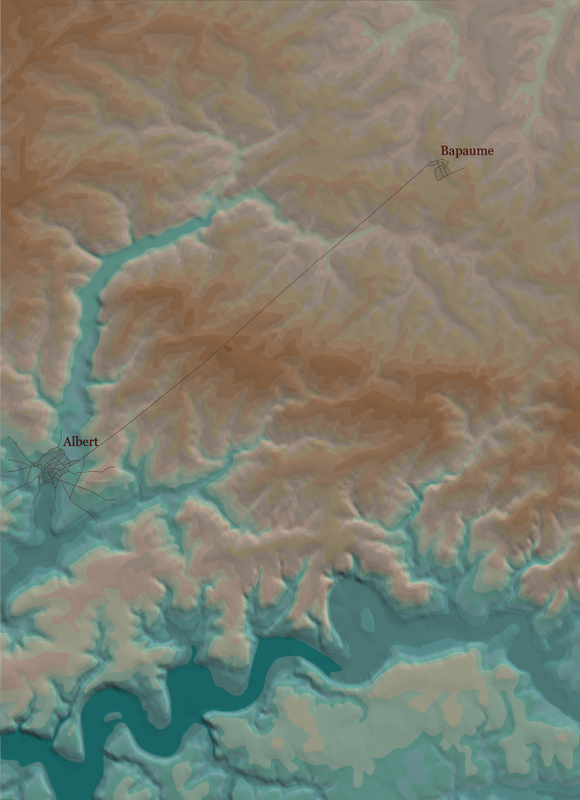 Relief map, Alberts and Bapaume added for reference. 15% actual size. 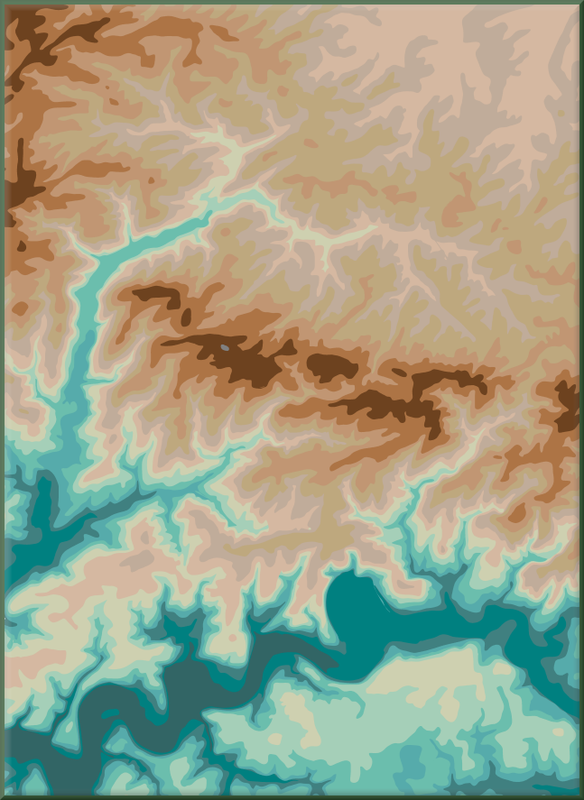 Contour colors are draped over elevation data. 4. 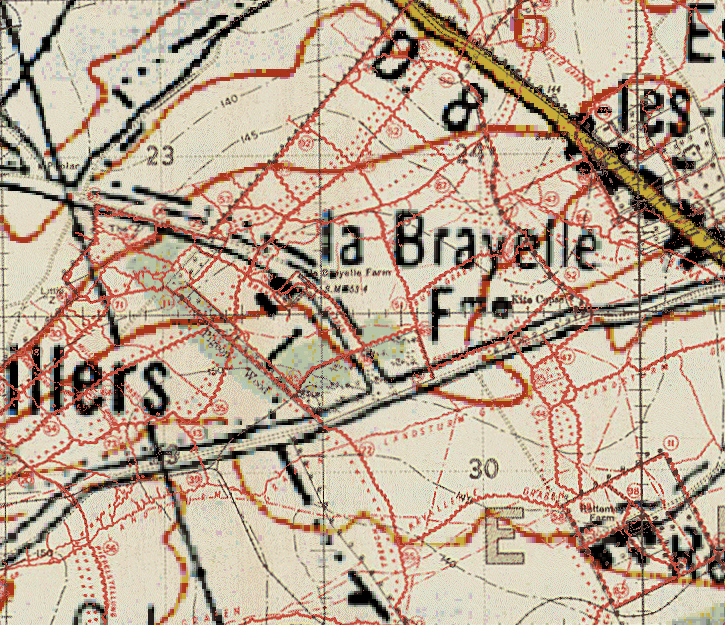 Superimposing Trench map data over a modern map. 5. 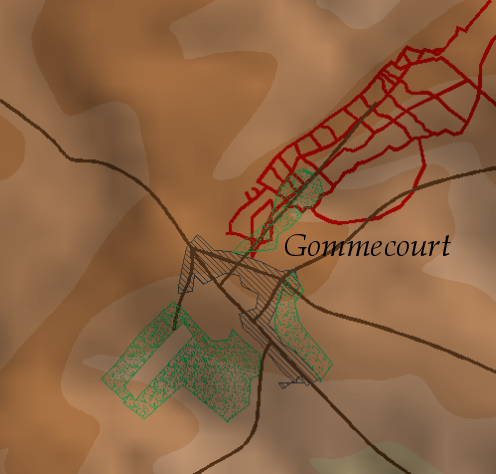 Gommecourt area with some sample trenches (draft form).